It feels like common sense: Of course the horror movie released a week before Halloween is going to win the weekend war at the box office over the action movie. And yet most horror movies continue to get released as far away from the season of the witch as possible. Can the recent successes of ‘Annabelle‘ and this weekend’s ‘Ouija‘ change that? Despite no big names and mostly negative reviews, ‘Ouija’ opened to a fairly strong $20 million, which is a good number for a low budget horror movie. Like most other films in its genre, it will sink like a stone next week, but its already victorious. It’s already in the black and the PG-13 rating ensures that the teens are going to make it their number one horror choice for days leading up to Halloween. 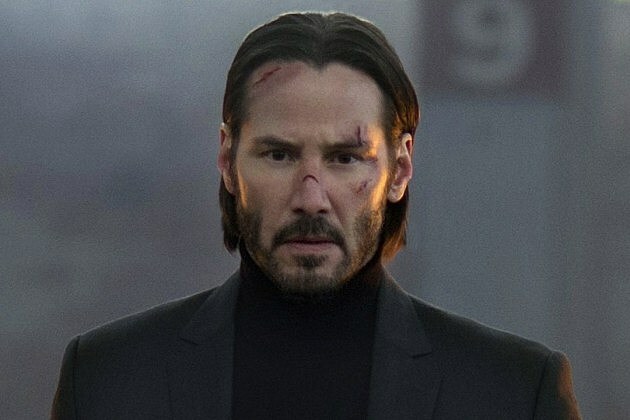 Less successful was the weekend’s other big release, ‘John Wick.’ Despite mostly glowing reviews, Keanu Reeves‘ latest action spectacular opened with a mediocre $14 million, immediately dashing out hopes of an entire series of movies starring that title character. Considering its origins as a smaller budgeted, independently produced film, it may have a shot at breaking even. However, expect this one to find its real success on DVD and Blu-ray. However, there was one real winner this week. Bill Murray‘s ‘St. Vincent‘ expanded into wider release, leaping into sixth place with a weekend gross of $8 million (for a $9 million total). With a percentage increase of over 1,000%, it’s easily one of the most impressive film in the top 10 this week. Also impressive: ‘Gone Girl,’ which only dropped 36%, grossing $11 million for a $124 million total. Everyone expected this to be a hit, but no one saw it making more than $150 million, which should be easy at this point. Less impressive: ‘Fury,’ which took a big 45% tumble from the top spot, grossing $13 million for a $46 million total. At this rate, it should be able to recoup its budget, but it’ll be close. Even less impressive: ‘The Book of Life,’ which only made $9 million in its second weekend for a $29 million total. It may end up being okay if you take its modest budget into consideration, but those are bad numbers for any animated movie. The final stretch of the top 10 is pretty much one big shrug. ‘Dracula Untold‘ is going to cross $50 million before vanishing forever while ‘The Judge’ will be lucky to pass $40 million. ‘The Best of Me‘ is pretty much a bomb at this point. As for ‘Alexander and the Title That is Far Too Long’? Meh. Nothing to write home about, money-wise.